Summery: Golden Richards is a Mormon polygamist with 4 wives and twenty-eight children, yet he feels disconnected from them all. So disconnected that’s he driven to an emotional affair with another woman. But this isn’t just his story. The Lonely Polygamist follows the story of two others feeling neglected in the big family. There’s the story of Trish, wife number four, who doesn’t quite fit into the family life of the other three wives, and Rusty, the biggest troublemaker of all the children. I’m going to be blunt. There are more bad literary books at good. Too many of them are shallow pieces of drivel that pretend to be about something deep and make the reader feel smart. Luckily, this is one of the good literary books out there. The Lonely Polygamist starts off as a dark comedy. Our main character, Golden, is late from a construction job and has driven home as quickly as he can without a single restroom stop. He arrives, needing to pee real bad to find all of his four wives downright pissed at him, plenty of children clamoring for his attention, all the bathrooms in the house full, and while he tries to tackle all his husband duties, he is forced in desperation to pee in a bucket. Yet the story slowly but surely shifts to an emotional and reflective story that successfully makes it point and leaves an impact. The characters are all sympathetic beyond the point I thought possible. Even when I knew can tell a character is doing the wrong thing, or they’re hurting others with their actions, I could understand why they were doing this, and feel sorry for them. The story itself is a roller coaster of a soap opera filled with unseen and amusing twist. What struck me most of all was how sympathetic all the characters. Even when I could tell the characters were making choices that would hurt themselves and others in the long run, I could understand the mindset that caused them to make that choice. Not everything was smooth sailing however. The Lonely Polygamist is a long book, and some scenes are just unnecessary. These parts stick out like a sore thumb. Especially bad was the side thing about the atomic bomb testing; while interesting, it didn’t fit into the story at all. In the end, The Lonely Polygamist is a riveting book that offers a non-judgmental look into the polygamist lifestyle. It’s at times hilarious, and at times emotionally touching, but entertaining all the way through. The human psych is revealed and portrayed so well, it’s at times unnerving. 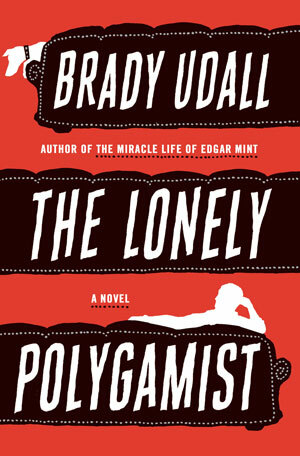 The characters of The Lonely Polygamist feel very human, and through that, are strangely sympathic. An engaging and entertaining storyline full of unexpected plot twists. However, it is bogged down with some unneeded parts, and these parts are a pain to read through. The Lonely Polygamist gives us a down to earth and non-judgmental look into the day to day life of the polygamist lifestyle and the small sect surrounding it. For me, it’s hard not to find a lifestyle so different from the norm interesting.